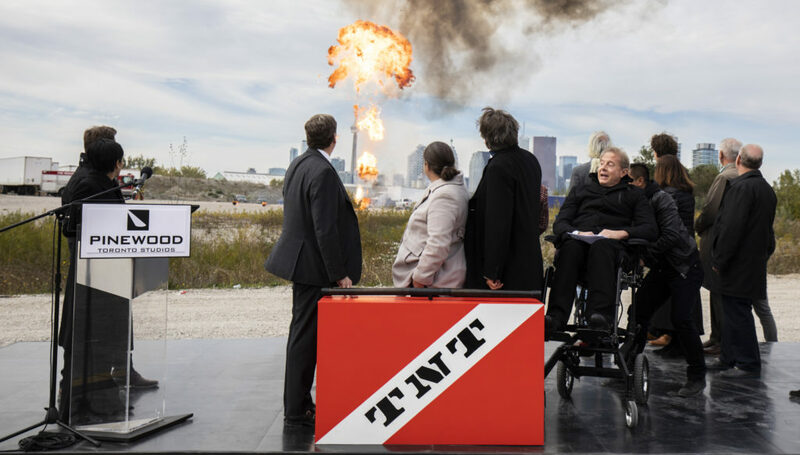 Media Alert – October 19, 2018 Pinewood Toronto Studios hosted an explosive event today to officially break ground on its multi-stage expansion. In addition to the previously announced 170,000 square feet, Pinewood Toronto Studios announced an additional 30,000 square feet will be added to the plans, bringing the total new production space to 200,000 square feet (18,580 square metres) of sound stages and support space. With this expansion Pinewood Toronto Studios becomes the largest production studio in Canada with 525,000 square feet overall and will be better able to support its growing roster of domestic and international film and television clients. Caption: YOUR MORNING co-host Anne-Marie Mediwake, Toronto Mayor John Tory, Pinewood Toronto Studios President Nanci MacLean, Bell Media President Randy Lennox, and Pinewood Toronto Studios board members Paul Bronfman, Bill Bryck, Nikki Moffat, Alfredo Romano, and Arjan Stroomberg, and General Manager, Geoff Grant. The event broke ground on 200,000 square feet of new sound stages at Pinewood Toronto Studios with an explosive stunt in front of the Toronto skyline. To download additional images of Pinewood Toronto Studios groundbreaking event, please visit BellMedia.ca/PR. 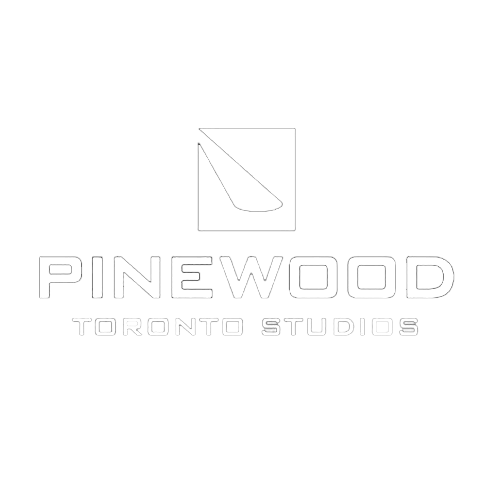 Pinewood Toronto Studios is the destination facility for domestic and international film and TV producers shooting in Toronto. Recent productions include It: Chapter Two, The Christmas Chronicles, A Simple Favor, Molly’s Game, The Expanse, and Star Trek: Discovery. The contemporary 330,000 square foot (29,600 square metres) purpose-built production lot is located on a 33.5-acre (13.5 hectares) site, minutes from downtown Toronto. Its 11 purpose-built stages, including one of North America’s largest purpose-built sound stages – the 46,000 sq. ft. (4,274 square metres) Mega Stage – are soundproofed, clear-span, and equipped with power and supporting infrastructure to accommodate productions of all sizes and budgets.